One unfortunate accident that occasionally happens to car owners is one that you may not have heard of before. It has to do with your car keys being stubborn, which most of us have experienced. However, many of us have not experienced a rather unlucky consequence of a stubborn car key: it getting stuck and then broken in the car’s ignition. If you end up with a broken key in ignition you’re going to be grounded until you can get it out. There’s no going anywhere when your key has broken in the ignition, because you won’t be able to operate the vehicle or maintain security of the car. But that is why we are here: Towing Fort Worth, your experts at dealing with a broken key in ignition or any other car trouble. Why do You Need a Professionals for a Broken Ignition Key Extraction? When you have a broken key in the ignition, you don’t want to try to get it out yourself. so we strongly discourage any kind of DIY in this situation. You want to be sure to call professional technicians at who are trained, experienced, and equipped with the necessary tools to safely extract your broken key and remove all the pieces. And what’s even better is that we can replace your key for you on the spot, or fix or replace your ignition if need be. 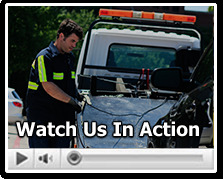 One of the benefits of working with Towing Fort Worth and their network of licensed affiliates experts is our excellent customer service policies. Our company is all about pleasing the customer, which means we have very competitive market rates and affordable pricing. We keep our paperwork clear so that you are never surprised by hidden fees. we’re ready for you. Our professional services are there for everyone; So if you’re looking for help dealing with any car lock emergency, call us at Towing Fort Worth and we’ll get you taken care of straightaway.